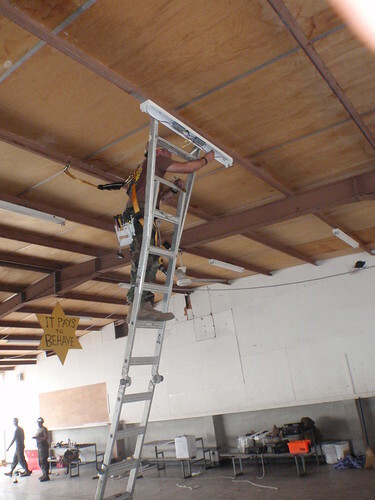 CE2 Caturegli, from Naval Mobile Construction Battalion (NMCB) 28 is installing one of over 150 interior lights to be installed in the Trench Town High School. 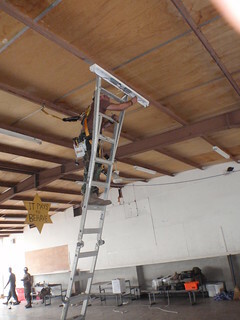 The previous lights were either improperly installed or vandalized. The renovation project was part of Operation Continuing Promise 2011. The Seabee Detachment was embarked on the USNS Comfort.